Portland is a beautiful city. One of the things that makes Portland beautiful is that it is home to a lot of parks. Fact of the day: Portland Oregon is home to one of the largest parks within a city boundary in the United States. Portland is also home to the smallest park in the world. Cathedral Park is neither of these. It is, however, a wonderfully beautiful park. 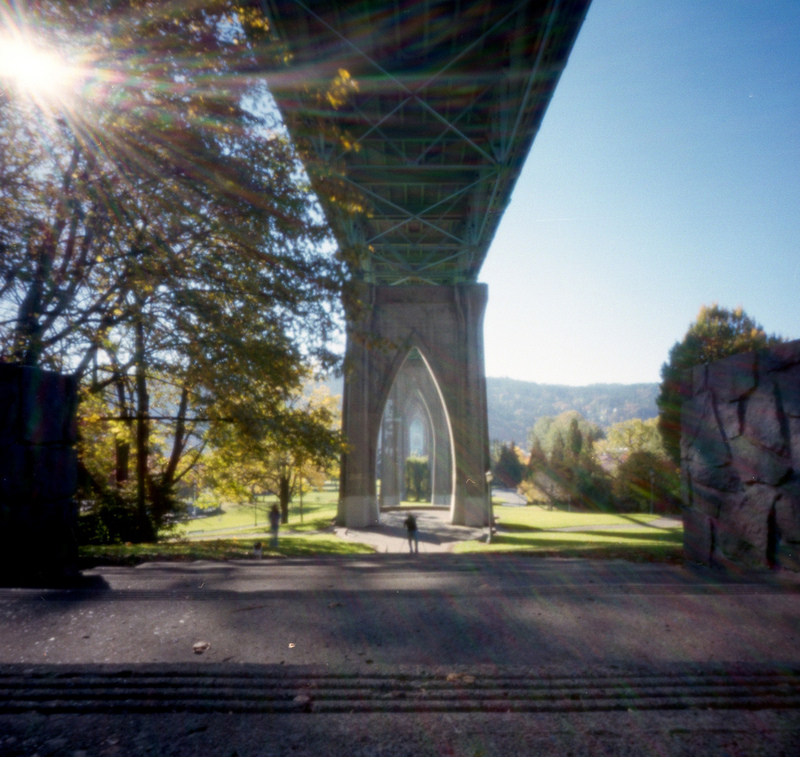 located under the St. Johns bridge in the hip neighborhood of St. Johns. The footings of the bridge are the highlight of this place and they create the cathedral-like atmosphere the park is known for. You will very often find a photographer shooting here on a nice day. Another fun fact: The video for one of my favorite songs, “Never Listen To Me” by the Thermals (one of my favorite bands) was shot here. It was one of the last videos shot with Kodachrome. I pinholed at Cathedral Park in PDX. you can read all about it on Pinhole Obscura. I have heard that , why D. ???? It’s the vitamin your body produces when it’s exposed to sunlight. Those of us living in the PNW are severely lacking in it in winter months.